Recently, I have been going through the photos Kim and I took on our trip to Quebec City in 2010. Kim was pregnant with our son at the time and looking back I realize that while this was probably our last vacation for a while as “a couple”, it might also have been our first trip as a family. Mainly because we were so aware of the fact that we were becoming a family. It was a major topic of conversation for us – and rightly so. It was a big transition, and as such the trip was particularly special because it was marked by an amazing contrast of change and stability. Every pocket of Quebec city is steeped in history – the walls of the old city rise up out of the earth, their bases lost in the soil, as if ther grew up around the city. But the city is also characterized by change – many defining moments in our history as a country have played out around the city. Stability and change. 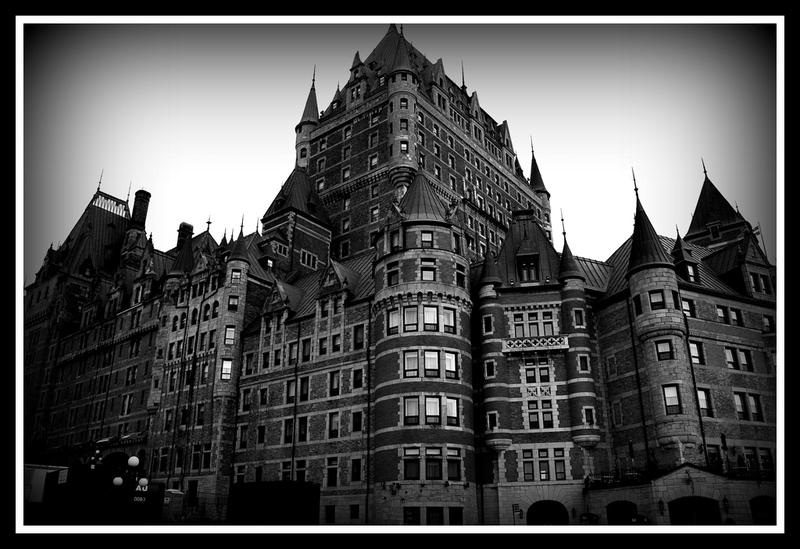 This image is of the historic Chateau Frontenac in Quebec City, one of the oldest hotels in Canada. Great photo Mike. We went to Quebec City in December 2009 and spent a couple hours walking around the Chateau Frontenac. Such an amazing building! Looks like something that could have existed in medieval Germany. Thanks man! I love that city! I really would like to go back sometime.